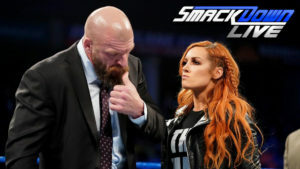 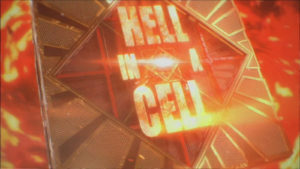 Daniel Bryan faces Jeff Hardy, Mustafa Ali looks for an upset against Randy Orton, Anderson and Gallows battle the uneasy alliance of Rusev and Nakamura, the three teams from SmackDown entering the women’s Elimination Chamber try to build some momentum, and Becky Lynch is confronted by Triple H in a good episode of SmackDown Live. 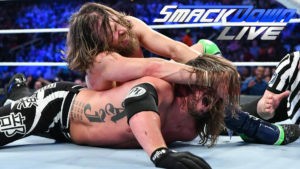 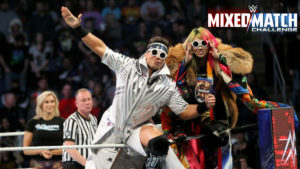 The new Daniel Bryan explains himself, Randy Orton attempts to destroy Rey Mysterio, Mandy Rose and Sonya Deville try to work together against Naomi and Asuka, The Miz wants to team with Shane McMahon, Charlotte makes an example of the IIconics, and New Day and the Bar have a Thanksgiving Feast Fight on a good episode of SmackDown Live. 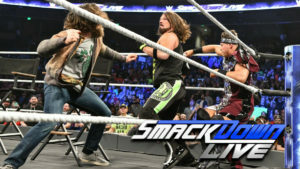 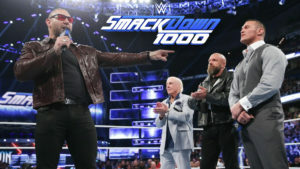 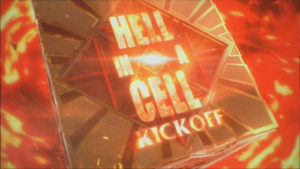 SmackDown puts its focus on Crown Jewel in an entertaining show that featured a rare WWE Title Match on regular TV. 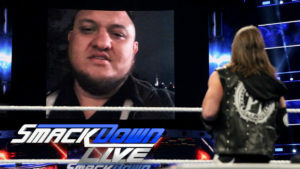 Samoa Joe almost invades Styles’ home, Aiden English accuses Lana of something, Big E faces Sheamus, The Miz and R-Truth battle for a talk show, and more on an okay episode of SmackDown Live. 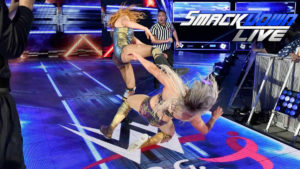 The Miz and Maryse attempt to avoid Daniel Bryan and Brie Bella (while claiming otherwise) on an okay SmackDown that had a good triple threat tag match and an interesting main event.